If you want fireplaces for your bedrooms, we have some different types to show you before you make a final decision. There are various kinds of fireplaces to consider before building your home or renovating an existing room. Bedroom fireplaces are beautiful accents that can warm up any home. Adding a fireplace to your bedroom could be a great idea if you want a warm, snug setting to curl up in before going to bed. Aside from being a great heat source, a fireplace will also add a rustic feel to your home. Fireplaces that use firewood provide a relatively economical heating solution but require meticulous cleaning and maintenance. 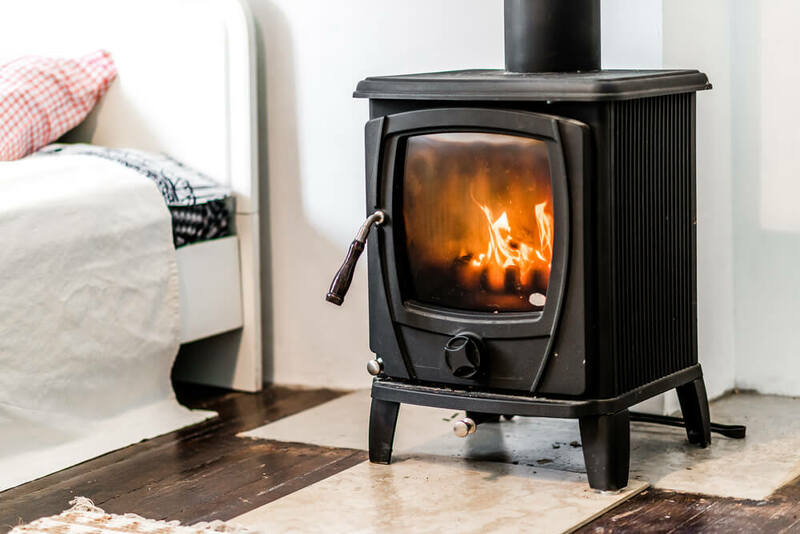 Today, we want to show you the different kinds of fireplaces that you can use in your bedroom, and review the precautions that you should take as well. Firewood fireplaces are the most traditional type which burn firewood and release smoke through a chimney. These fireplaces come in a wide variety, featuring additional accessories as well. For the most part, firewood fireplaces are uniquely original as their designs adapt to the specific style of a home. Firewood fireplaces that are lined with stone use a perfect mix of warm and rustic materials, such as wood. A beautiful rustic, stone fireplace could create a lovely warm setting for your bedroom. These days, we can install or place fireplaces in homes and apartments alike. You can get electric fireplaces that recreate the ambiance of their more traditional counterparts. Currently, these electric models are the more popular option because they’re safer for bedrooms while requiring less maintenance and supervision in comparison to firewood fireplaces. 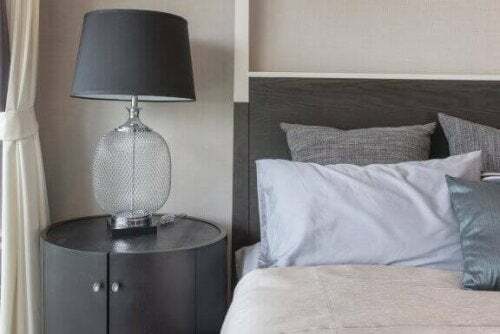 You can plan the style, material, and dimensions to fit your bedroom. There are all kinds of materials used for electric fireplaces. They’re most commonly seen in modern style houses or apartments. The materials and shapes vary. You might find mirror-like stainless steel electric fireplaces, or models with a curved front, square designs, built-in fireplaces, tiers and many more. There are electric models available that can regulate the heat and even other models that don’t give off heat but rather, mimic flames for decoration. Electric models, however, are more expensive than traditional firewood fireplaces. Big windows are a must for ventilating your room after using your fireplace. The last thing you want is your room and bedding smelling of smoke. The smoke could also darken your walls or objects without proper ventilation. You’ll need a fireplace screen to keep flames and fires at bay. You can find an endless variety of doors and screens for fireplaces. Don’t keep anything flammable near your fireplace. If you have a rug in your bedroom, firewood fireplaces aren’t very recommendable either. 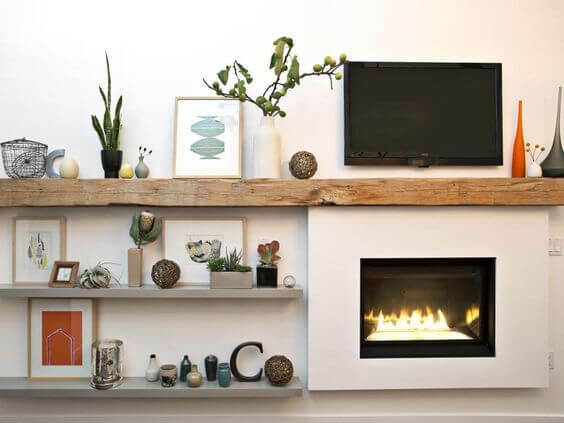 If you install a fireplace that lacks any characteristic feature or one that doesn’t match your home, it’ll only clash with the rest of the decor. Choosing an appropriate material and design is crucial because your fireplace won’t just warm up your bedroom, but it’ll shape your atmosphere as well. In bedrooms, fireplaces normally go in front of the bed, making the most of the heat. However, you can also choose to install it on the side and create a small reading corner to relax before you go to bed. As you’ve read with us today, you can choose from a variety of fireplaces for your bedroom. Be safe and remember all of the precautions that we talked about in our post today. Also, think about what kind of setting you want and consult an architect before you make any rash decisions.